Waiting for a new flagship from the world’s largest smartphone vendor can get boring, even though a number of other companies are inching closer to their own next-gen high-ender announcements, while Samsung itself appears to also be working on a couple of very interesting mid-rangers. Still, the Galaxy S10 is undoubtedly shaping up as the most exciting handset release of the coming months, which obviously means we’re looking at... months of constant rumormongering. 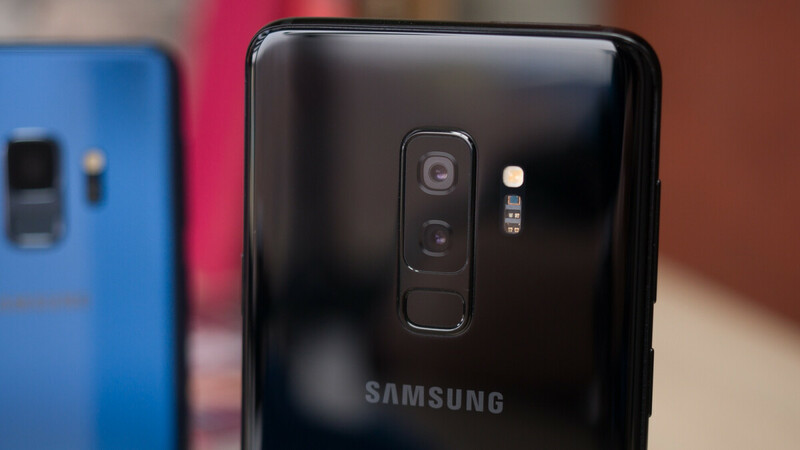 A persistent recent rumor has been calling for the inclusion of three rear-facing cameras on the “ultra-premium” Galaxy S10 variant. This way, Samsung would join the likes of Huawei and LG in a mobile imaging revolution that Google, for instance, wants no part of just yet. Of course, not all triple-lens smartphones are created equal. In other words, it’s not about the number of shooters you can mount on a handset’s back, it’s what they can actually do. If a graph shared on Twitter by a source described as reliable by SamMobile is to be trusted, the Galaxy S10 will feature 12, 16, and 13MP rear snappers. These figures just so happen to coincide with those speculated in Korean media a while ago, which makes them that much more plausible. It also sounds reasonable to expect the excellent primary cam on the Galaxy S9+ and Note 9 to not go anywhere. The F1.5/2.4 dual aperture 12MP beast will purportedly be joined by a 16MP wide-angle lens with no autofocus or OIS (optical image stabilization), as well as a 13MP sensor sporting f/2.4 aperture. The third cam could come with a telephoto lens for advanced zooming functionality, as well as both OIS and autofocus. The secondary sensor, in turn, should stand out with f/1.9 aperture, although the Huawei P20 Pro, for instance, has a monochrome 20MP lens with f/1.6 aperture, OIS, and Laser AF flanked by a main 40MP shooter and an 8MP f/2.4 telephoto sensor. Bottom line, it feels like Samsung could do better than this. Then again, Google’s Pixel 2 and Pixel 2 XL have repeatedly proven smartphone photography is a lot more than a numbers game. LG is First with Wide-angle Lens. Tbf doesn't LG always copy everyone else, hello notch!!. The industry has reached a point where everyone copies everyone no point crying foul now. and that means they have exclusive rights to that feature? lol no. And Samsung is Better with Wide-angle Lens. Same goes for everything. Cars, computers, appliances, etc. Should there only be one company that does one thing and that's it? STFU. It doesn't matter who's first. What matters is who implements the feature best and it sure as hell ain't going to be LG. Congrats on making yourself look like an idiot.